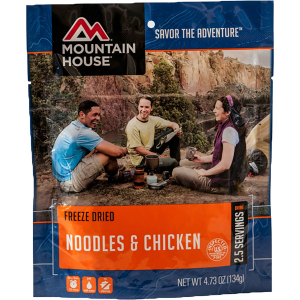 I was ordering some quickie meals for winter hiking, and decided to write a review of one of our favorites. 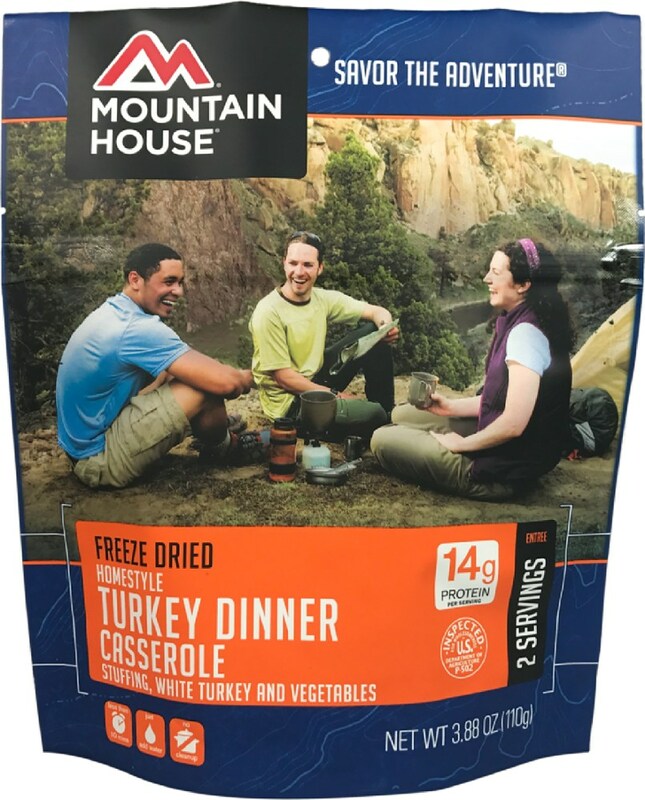 The Campfire Meals Rice and Chicken Tortilla, in a 2-serving pouch, is a nice quick option,and among the best of the commercially prepared, freeze-dried foods we have used. 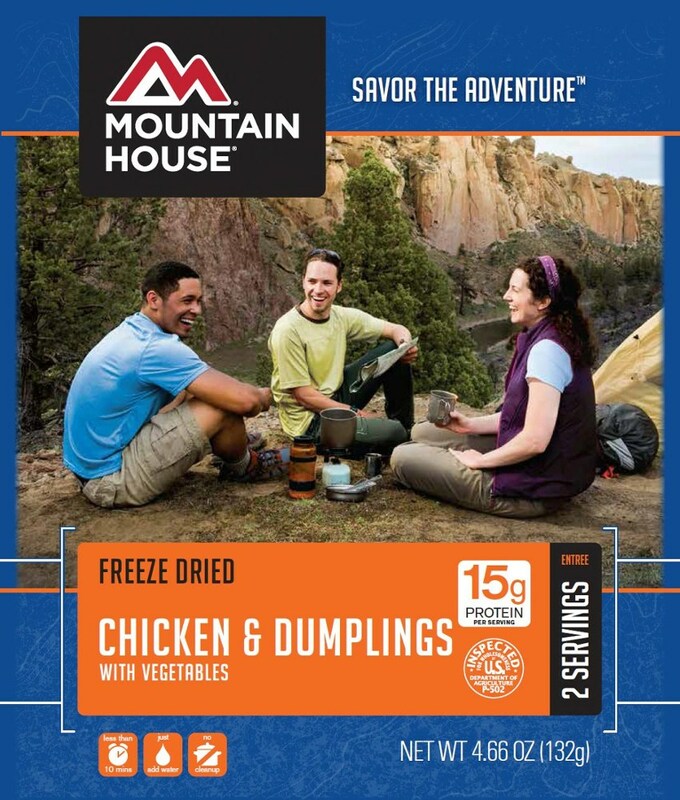 This freeze-dried entree has a 7-10 year shelf life. I do not actually recall how I came to be aware of this company (a subsidiary of foodinsurance.com), but I think it was from a twitter chat they used to administer. I won a free pouch, and was quite impressed. I have since tried a few of their selections, but our favorite is the Chicken and Rice tortilla. 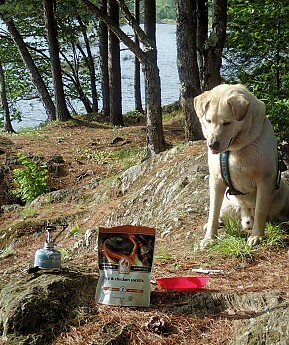 It makes a quick and easy hot meal for canoe camping, or as a hot lunch on the winter trails. As with other pouch meals, it requires only the addition of boiling water. The contents are filling, and there is good quality and tasty chicken and vegetables along with the rice. We often bring along some salsa packets, and a few tortilla chips, to supplement the contents of the pouch. I like the fact that the directions are accurate, in terms of how long to wait after the hot water is added. We have found other brands require additional time than is listed on the packaging. 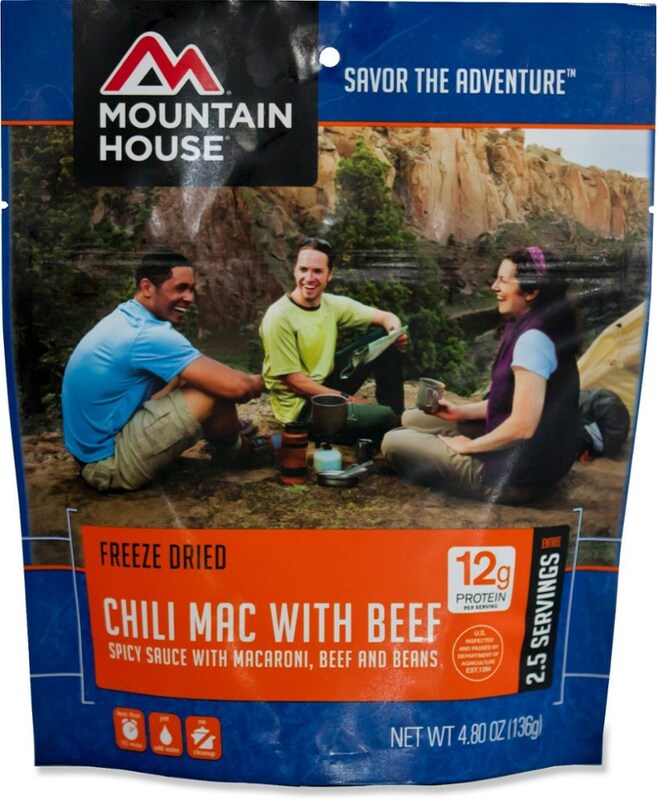 The pouch only makes two (2) one cup (dry) servings, at 280 calories each serving...something to keep in mind, if you are feeding two hungry hikers or paddlers! The pouch is lightweight, and seals well while the meal is "cooking". As with other such pouch meals, you have to pack out the pouch, but this one generally ends up pretty empty, so it rolls up tight, for packing in the trash bag. We usually prepare our own meal contents for a trip, but sometimes it is nice to have the option of just having a good meal to grab and go. I have not found these pouches in any retail outlets, so have had to order online. I have received coupons, and also free samples (of individual serving sized packets) from this company. 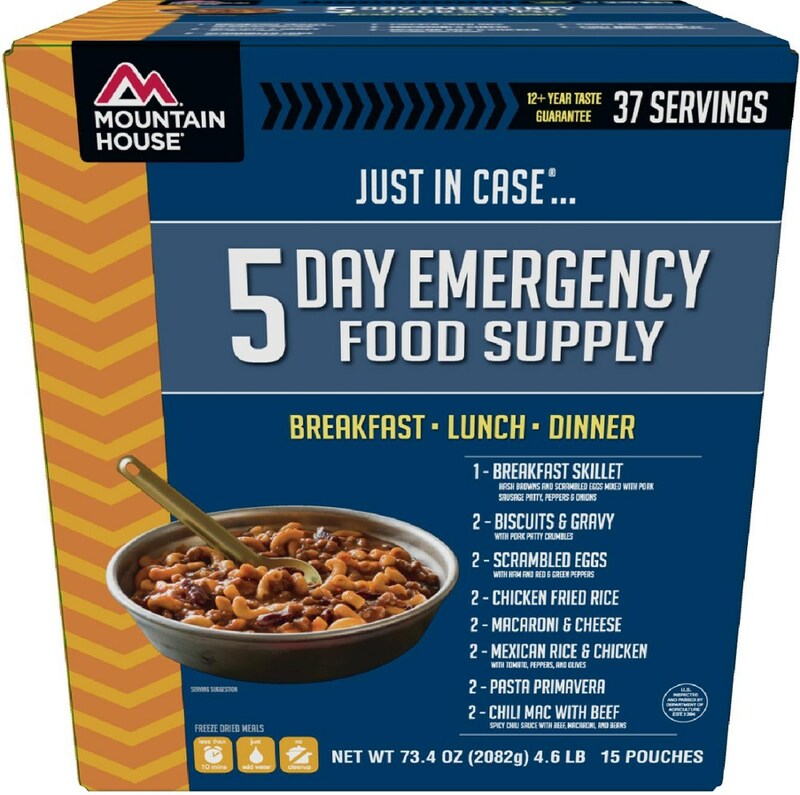 We think that the prepared foods from this company are the best in this niche category. 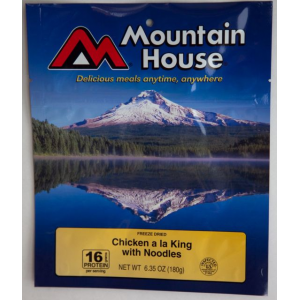 We do use backpacking meals from the better known brand names, primarily because we can pick them up at our local outdoor stores. We have yet to be disappointed in meals from this company, so although tastes are individual, we do feel confident recommending this meal! Looks like we were writing meal reviews at the same time...hungry minds think alike! Thanks for adding another source of variety to my meal planning. Hadn't heard of these folks before. Nice review Sheila! And thanks for giving me another source for trail meals. :-) I generally stick with either PackIt Gourmet, or Sporkables, but having another option is always welcome. Nice review, Sheila. So I ask myself. If a fastfood value meal is costing me $5-6. And my local Chinese lunch buffet is only $7...is this worth $8? I'm assuming by your review, you'll say yes. I'm just trying to balance the cost with the value. Thanks for the review, Sheila. I wasn't aware of this brand until you reviewed it. It sounds good, though not inexpensive, though I suppose you're getting more food than a single serving meal. It doesn't say on their website, but any idea how much food is in one of these? Thanks for the specs, Sheila. 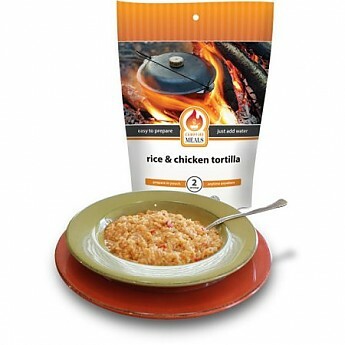 The Campfire Meals Rice & Chicken Tortilla is not available from the stores we monitor.